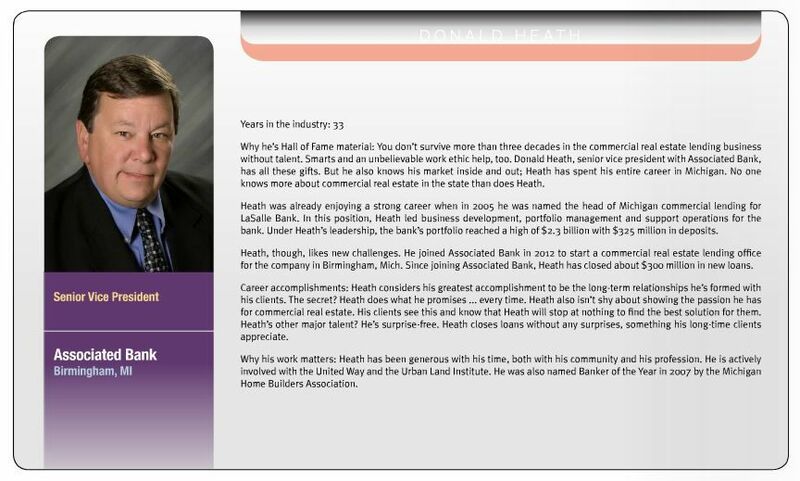 Donald Heath was recognized in the 2014 Midwest CRE Hall of Fame as hall of fame material, bringing more than 30 years of experience in to the field of commercial real estate. He joined Associated in 2012 to start a commercial real estate lending office in Birmingham, MI. Heath has not only been generous with his time in the profession, but also with his time in the community. View the full article here on page 38.